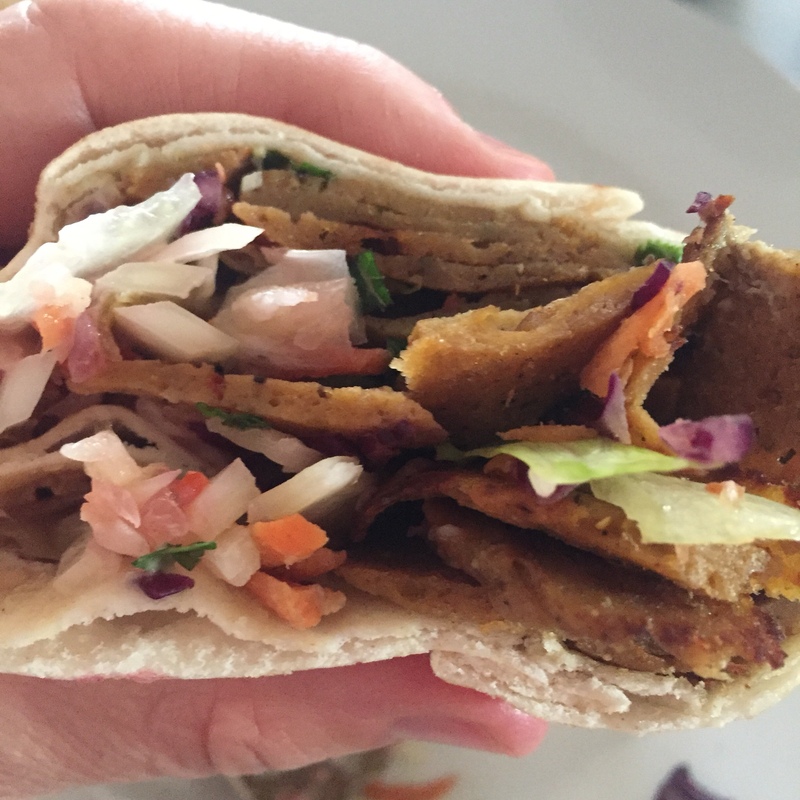 YOU MUST TRY THESE VEGAN KEBABS !!! Ok so unless I’m succeeding in hypnotising you right now, you might be asking for a bit more detail and that’s fair enough. So would I. So. 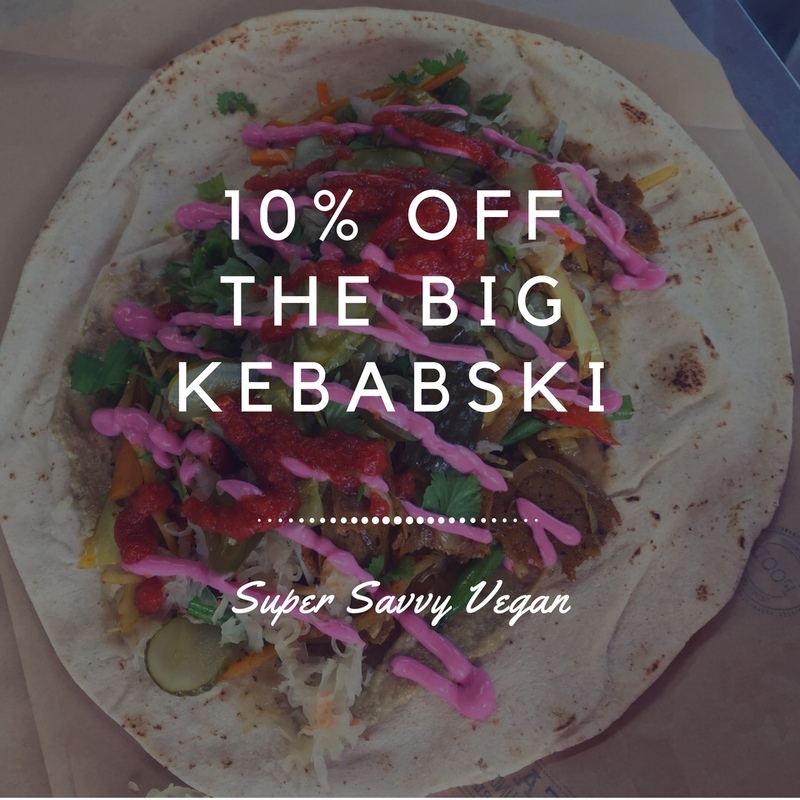 After hearing a bit of a buzz going round, I was lucky enough to be invited to sample some vegan kebabs and burger from Exeter based The Big Kebabski. Great name right. 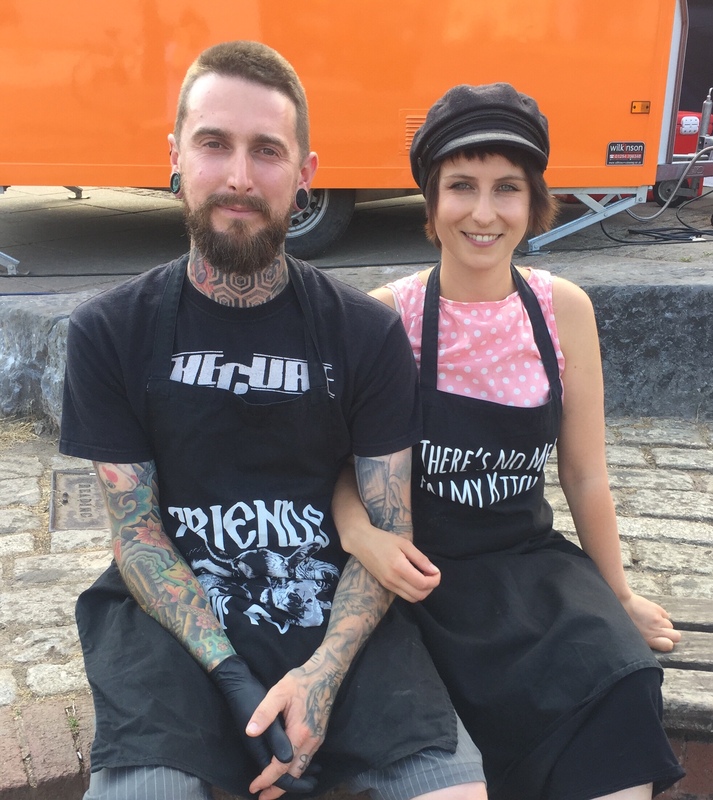 Lovely happy vegans Justa and Luke (taking time out for me to snap them below) started up the street food business quite recently and every time I look at their Instagram feed (see below) they’re posting that they’ve sold out at yet another event! 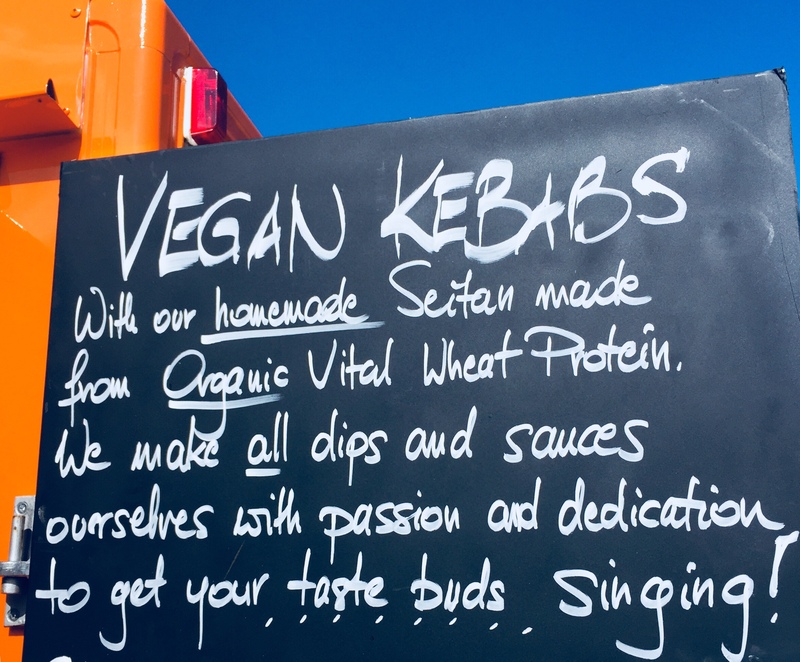 It seems vegans and non-vegans cannot get enough of their kebabs. And now I’ve tasted them I know why. I want to waffle on and on and on about the incredible taste explosion, the crunchiness of the salads, the meatiness of the seitan, the floury softness of the wraps, the zinginess of the sauces…the colours, the smell, the freshness, oh my…but you really just need to know where to get them and go – just go. Please go!!! 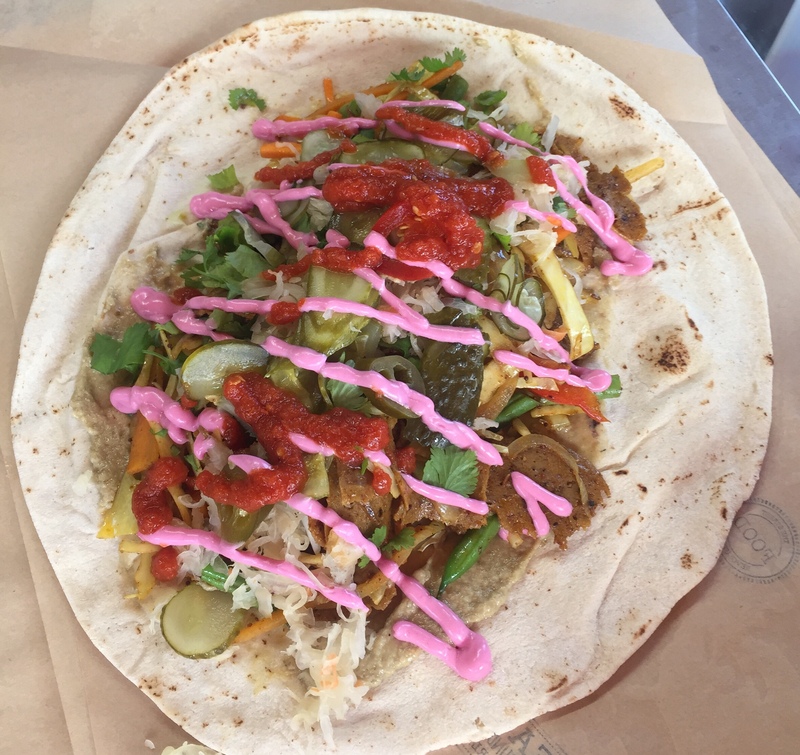 Follow The Big Kebabski over on Instagram or Facebook to see where they’re gonna be next. 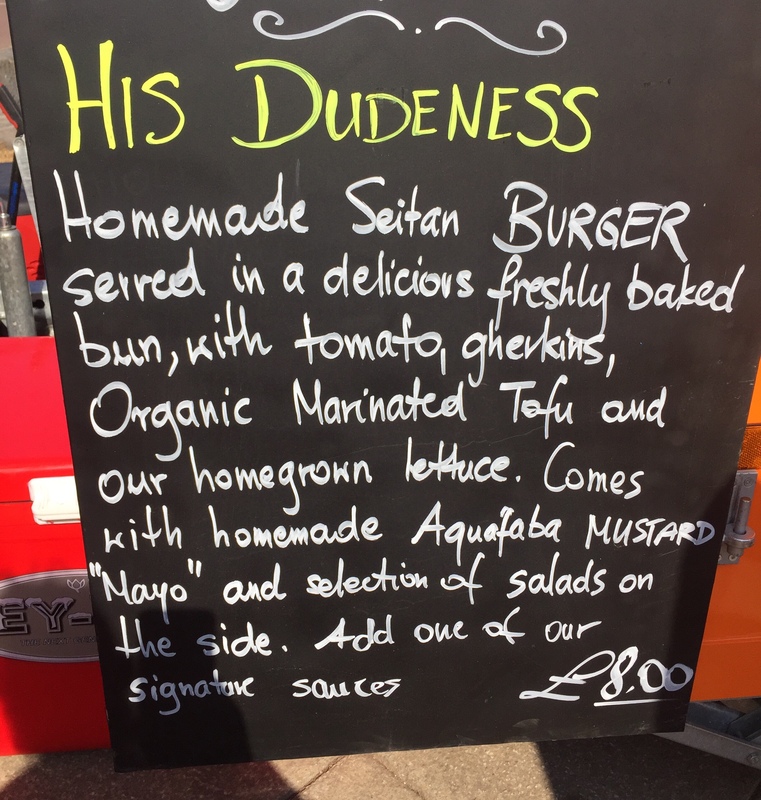 I met them at the regular Exeter Street Food event at Piazza Terracina (near Clip ‘n Climb) on Exeter Quay. 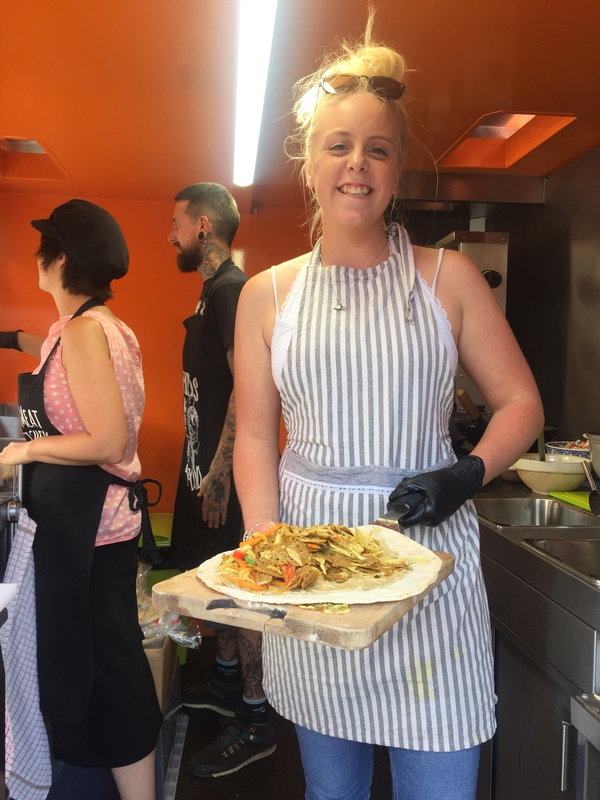 This takes place every third Thursday during the summer months and there’s just one more date left on Sept 20th 2018. 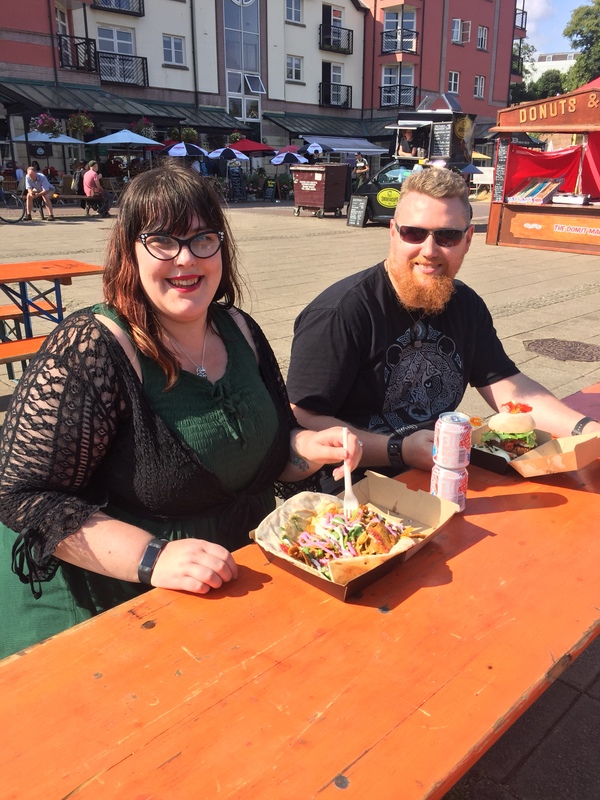 They’re also at Southernhay Gardens Sept 28th 2018 from 11am-8pm. They’ve started doing events in Totnes too and they do some music festivals. 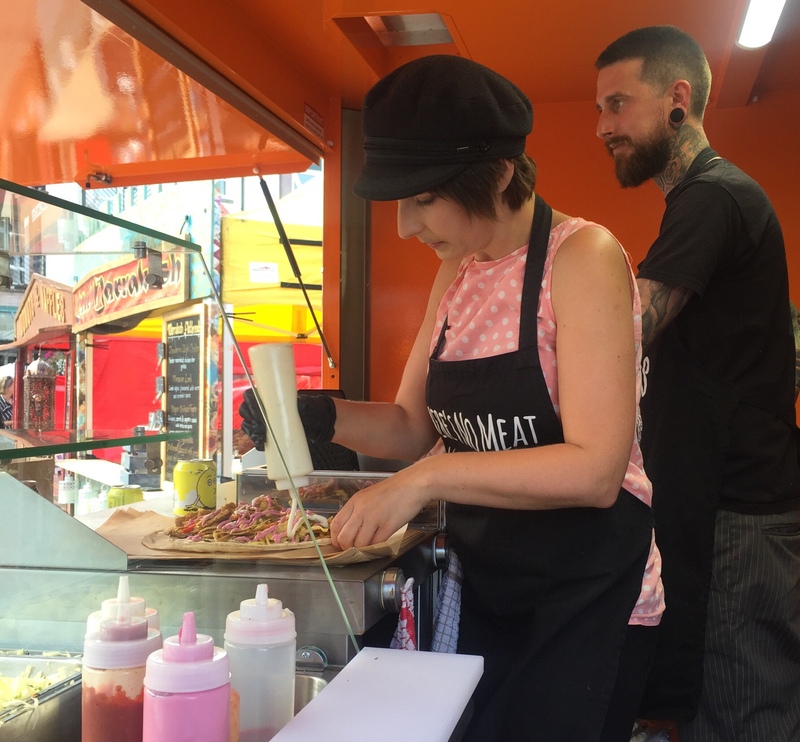 Their dream is to open a kebab shop in Exeter which I think would do incredibly well. 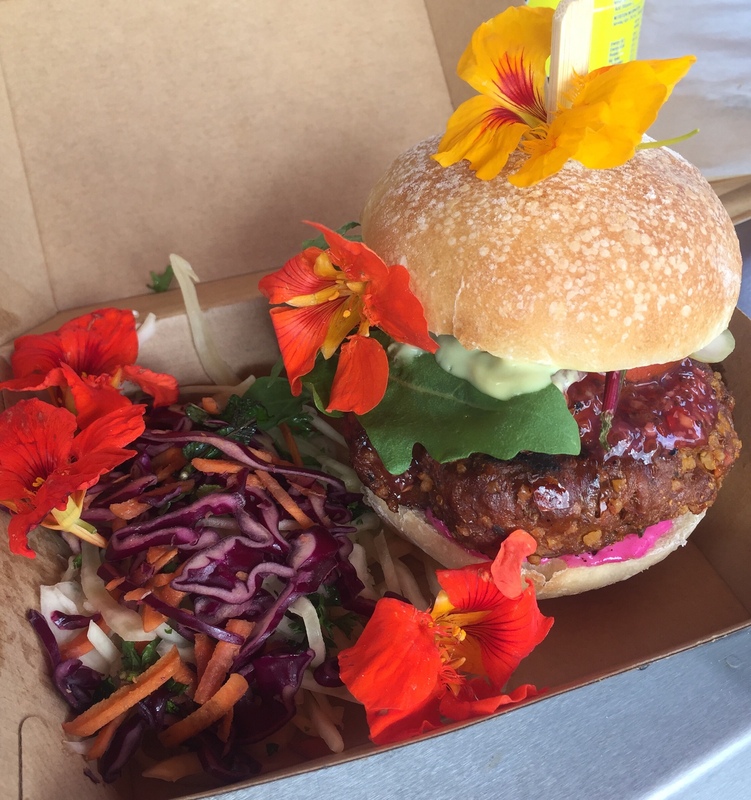 I nearly forgot to mention their vegan burgers (above) are totally awesome too and I heard a rumour they’re about to add something new to their range. And finally – if you’re still with me (you still there?) you get a Super Savvy 10% off your order if you show the guys the discount voucher at the bottom. Not bad eh! 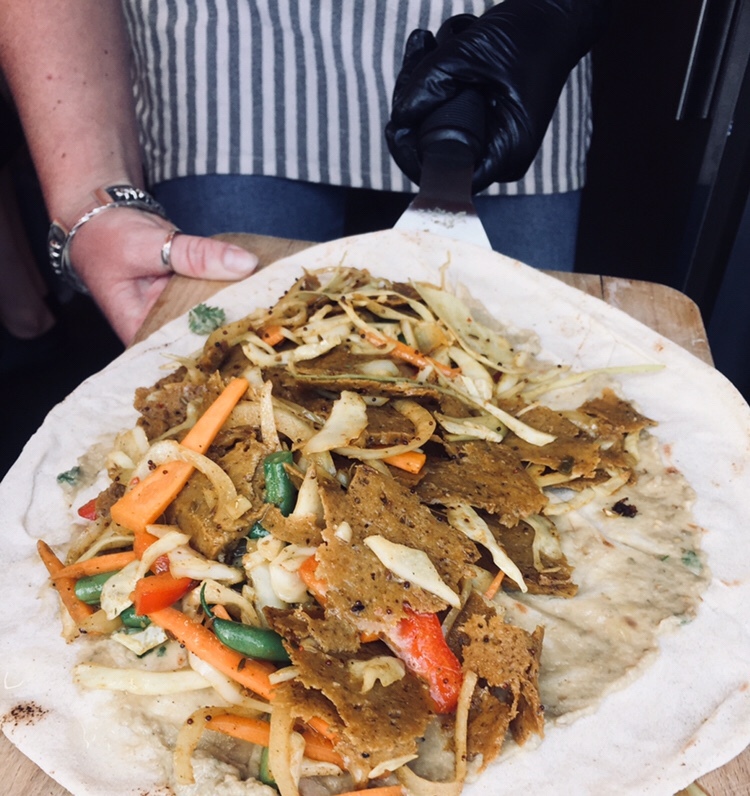 If you’re in or near Exeter and looking for more vegan stuff then check out my review of The Flat Pizzeria and Exeter’s very own vegan chip shop! 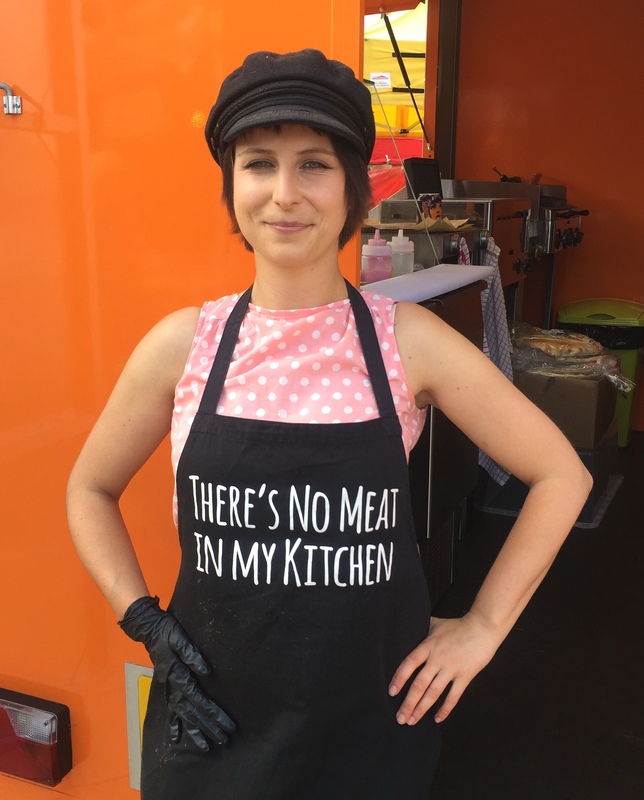 There’s also amazingly healthy plant based food delivered to your door from SP Nutrition or for something a bit naughtier try vegan donuts! 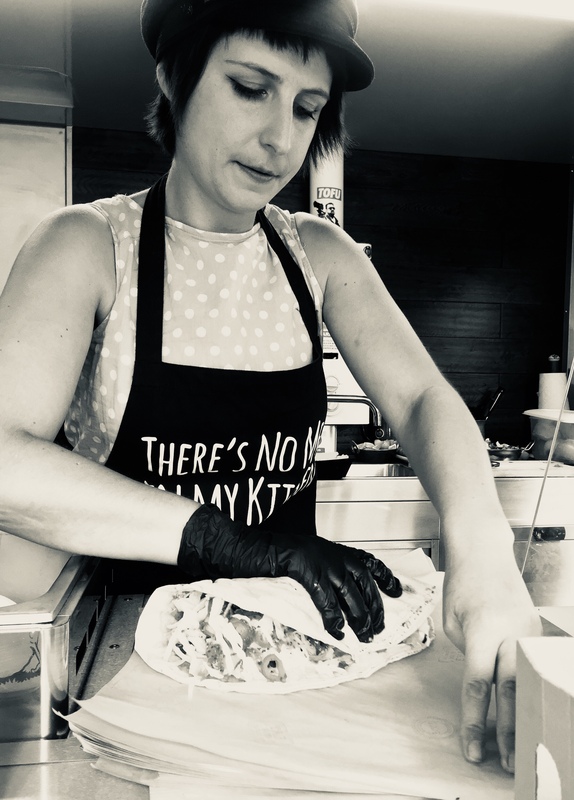 If you’re hungry for more money saving and cash creating ideas, vegan tips and advice – come and join the friendly Super Savvy Vegan Facebook group. I’m also on twitter and Instagram. 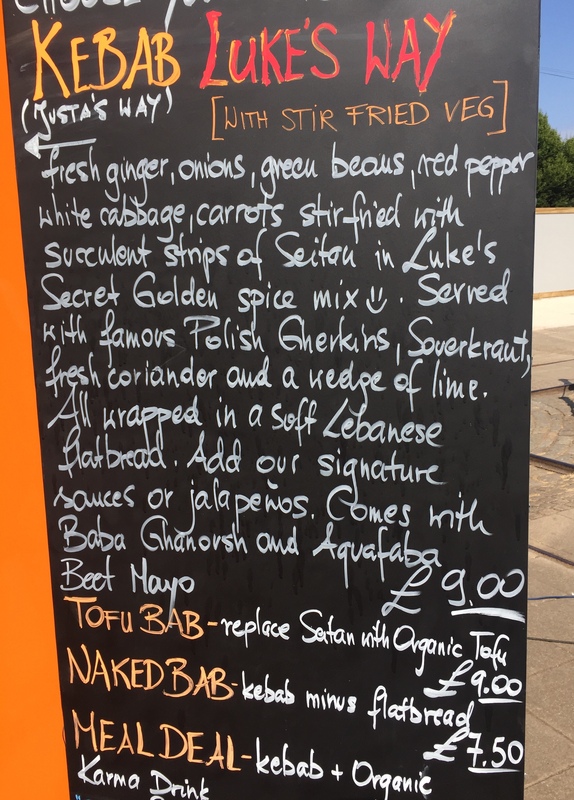 And please do get in touch if you’d like me to review your vegan goodies on here or you can give a discount like the one below to my vegantastic Super Savvy Followers! Previous post: What to grow in August? 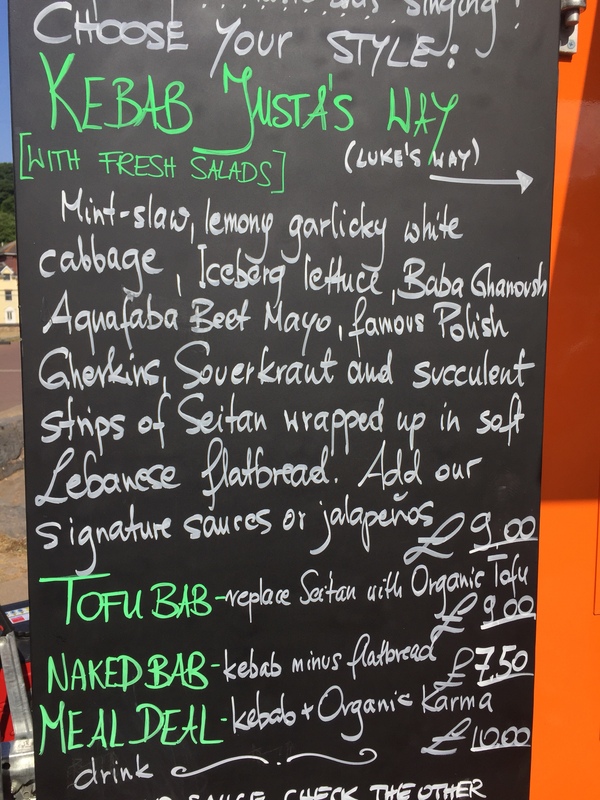 I tried one of their delicious kebabs today at Totnes Good Food Market (making a special trip from Plymouth after reading your review! ).